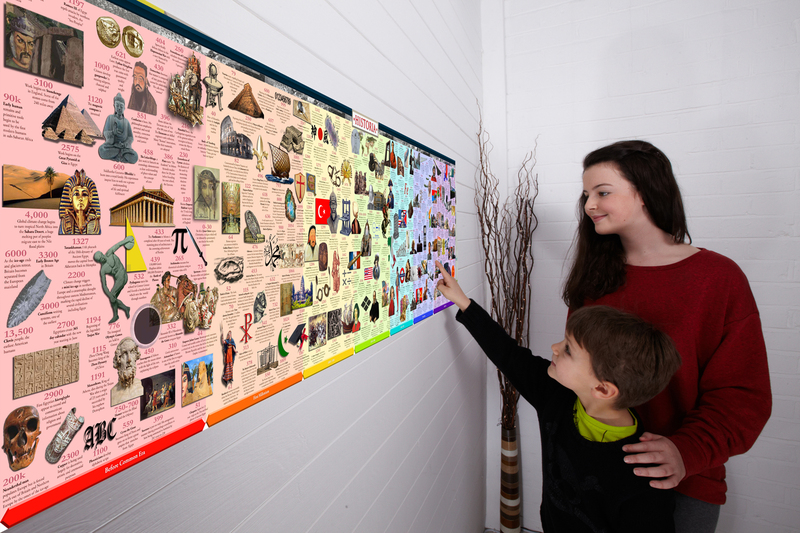 An educational wall chart illustrating a 6,000 year timeline of World history. Since the dawn of civilization, the formation of urban, rural and nomadic societies have contributed to the human story. From the first humans to venture out of sub-Saharan Africa, to the distant images from the edge of the known universe, the unique story of mankind and the world around us has been an intriguing blend of invention and destruction, discovery and political struggle, artistic expression and annihilation.